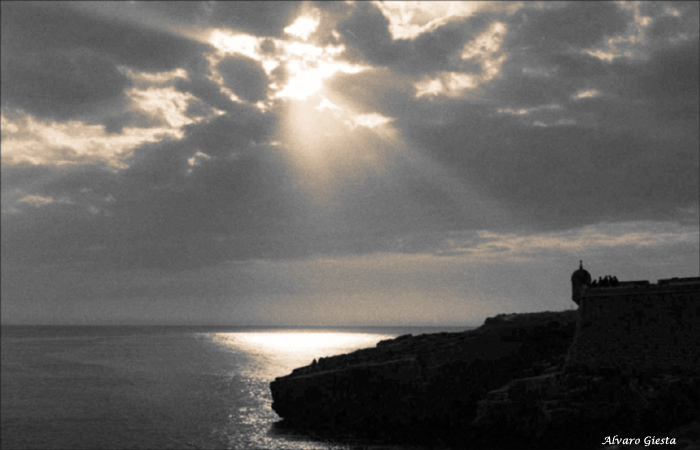 Фото "Serenidades_03 (for you Jorge Jacinto)"
Desaturate in Photoshop 6.0 with Selective White Colors to Yellows Colors. Scaner in HP 5470c to 2400 dpi. That is called Fortaleza de Peniche, in the time of Salazar that governed Portugal for 40 years of dictatorship, the politicians were arrested contrary to the regime. A great and beautiful backlighting. The silhouettes are wonderful. Beautiful photograph. Work of an great Artist. Congratulations, my Dear Fernando. Congratulations, also to our Friend Jorge Jacinto. Must work with the Photoshop. Photo is Photo, not computer work. Is beautiful, but.. Perfect catch of the rays of the sun. Beautiful work! An excellent work, you could get a better result by useing phottosho _filter _ Sharpner_ Shapener edges!!! anyway this is a nice work with great mood, Congratulation my friend!